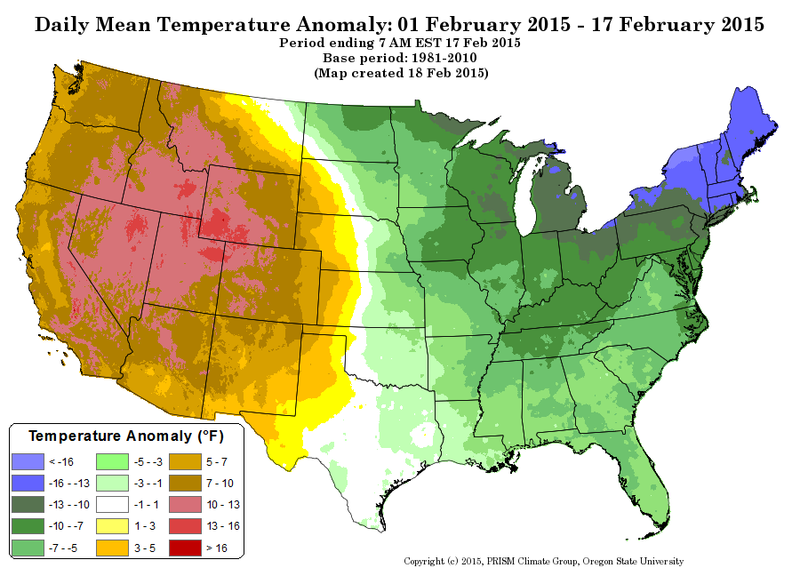 Check out the February daily mean temperature anomaly. An incredible contrast of temperatures between the east and west coast thanks to a highly amplified jet stream with little general movement over the course of the first 17 days of February. 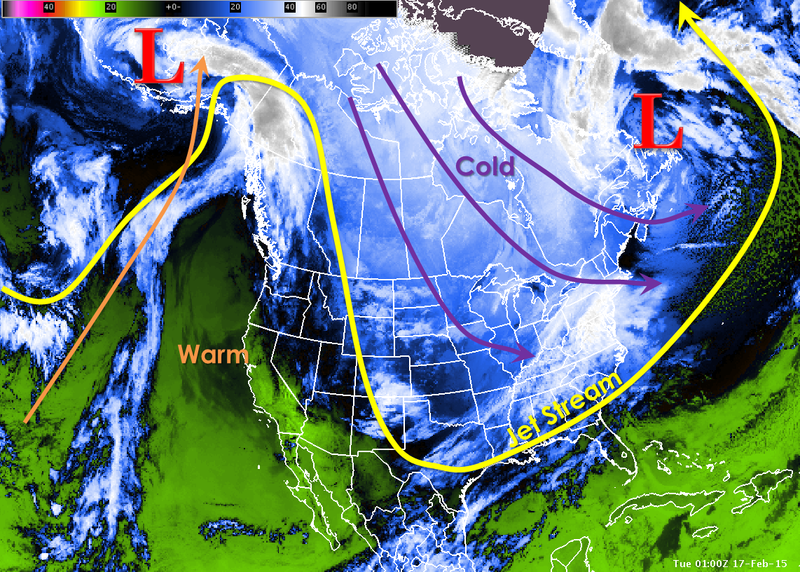 Areas north of jet stream colder than normal, areas south warmer than normal.